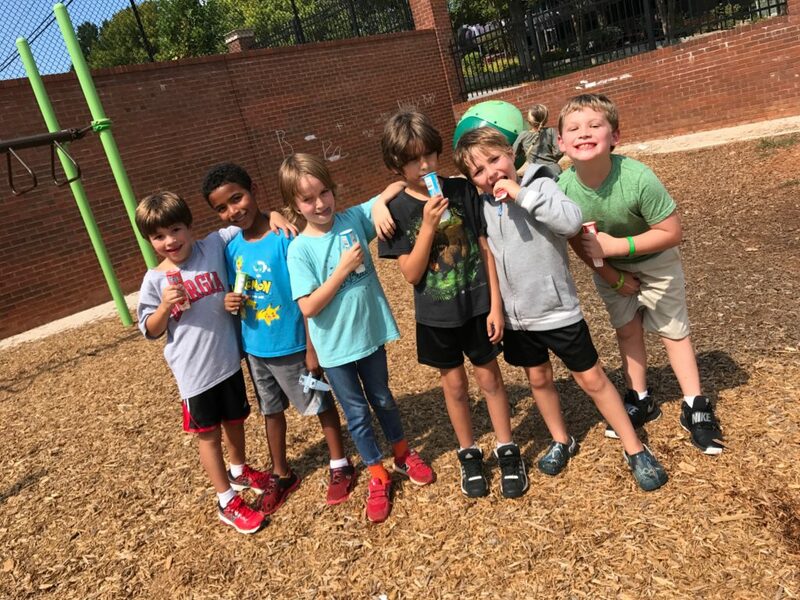 5th grade: Friday, Oct. 20, Washington Farms fall fun! 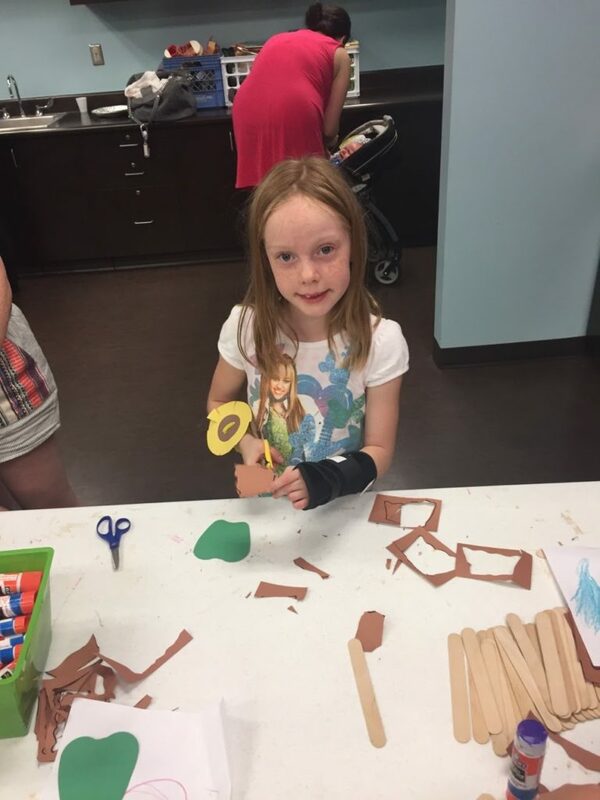 Corn maze, campfire, s’mores, and more! Barrow Book Builders allows you to purchase books for donation to our school library. Media Center: If you would like to volunteer your time in the Media Center, please contact Margaret Christ, Media Center volunteer coordinator, at mchrist@uga.edu. 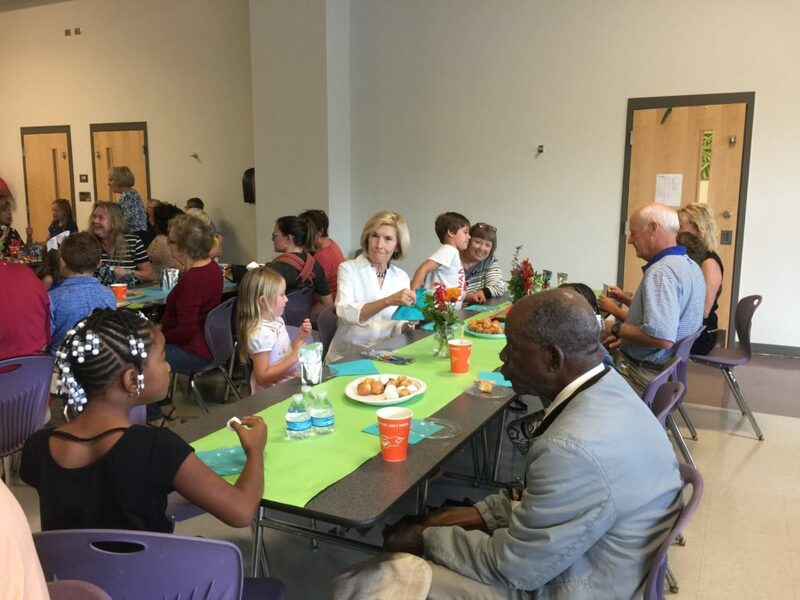 Grandparent’s Day – Thank you Kate Adams and Whitney Freeman for organizing and hosting our first Grandparent’s Day! 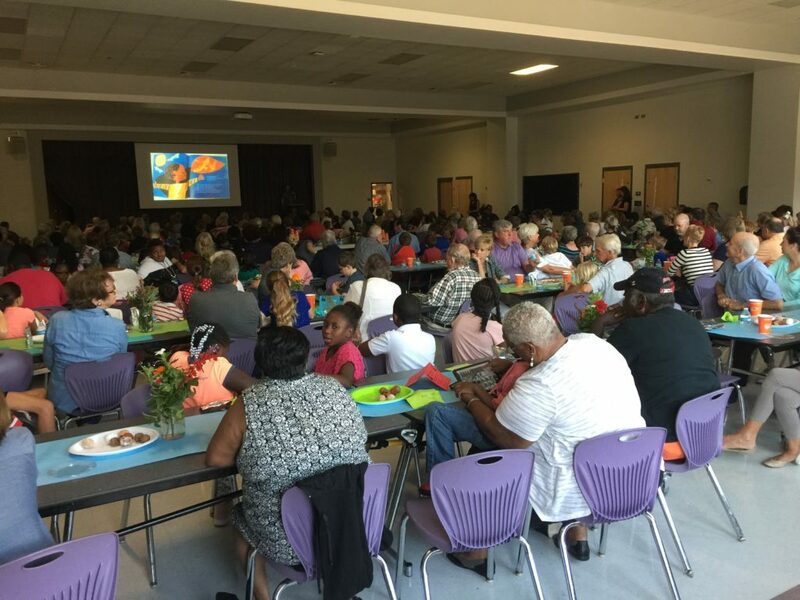 It was a huge success with over 100 grandparents! 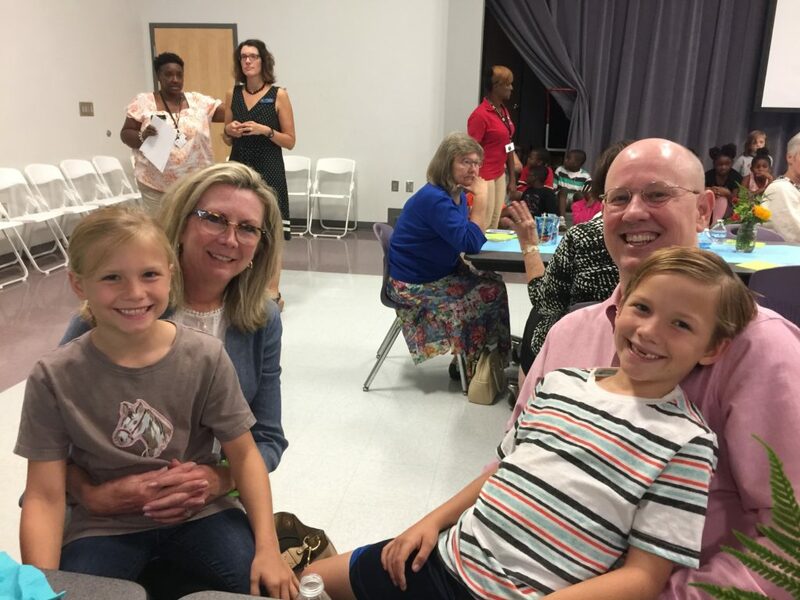 Sept. 26th PTA Meeting: Our first PTA Meeting had a great turnout. Special thank you to Dr. Means for coming to speak to us. If you missed the first PTA meeting, you can still sign up to volunteer for committees. 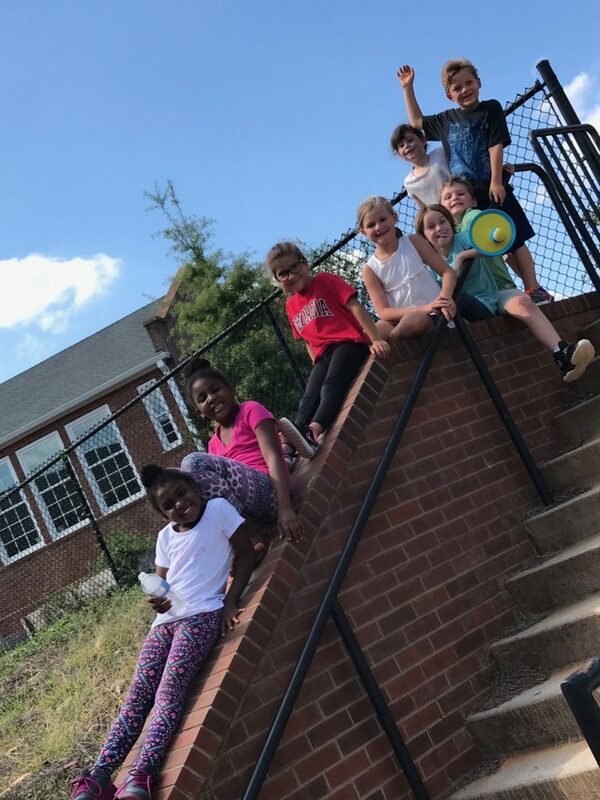 A full list of committees can be found on our web site http://barrowpta.org/committees/. 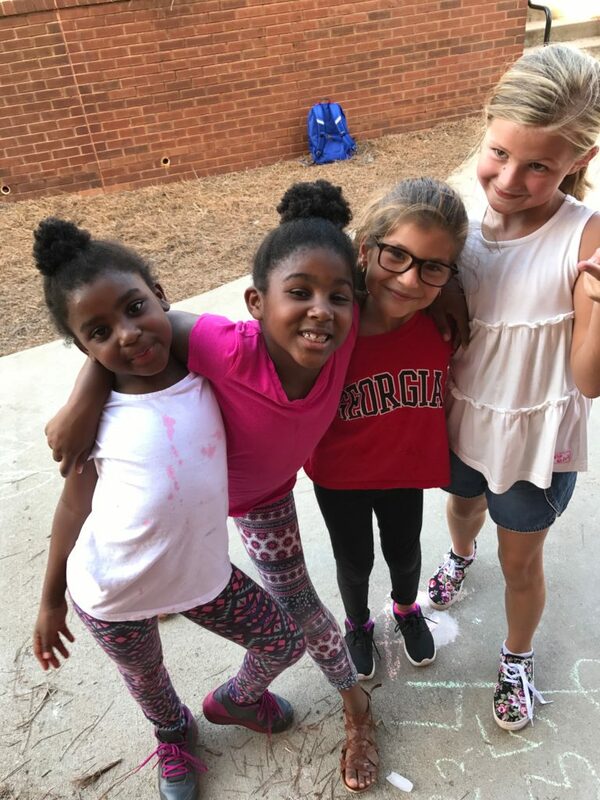 Spirit Events: Thank you to our spirit leaders, Trish Hogan, Beth Thrasher, Ceci Reynolds, Tishara Adams and Courtney Tobin for planning fun events for us in Sept. 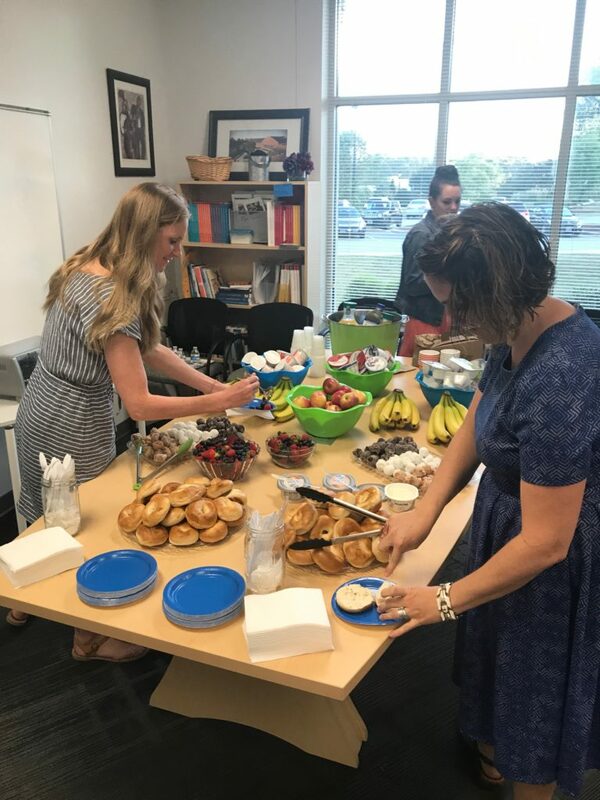 Teacher Appreciation Breakfast: Thank you committee leaders Amy Norris and Carolyn Morgan for organizing a nice breakfast for our fabulous teachers! 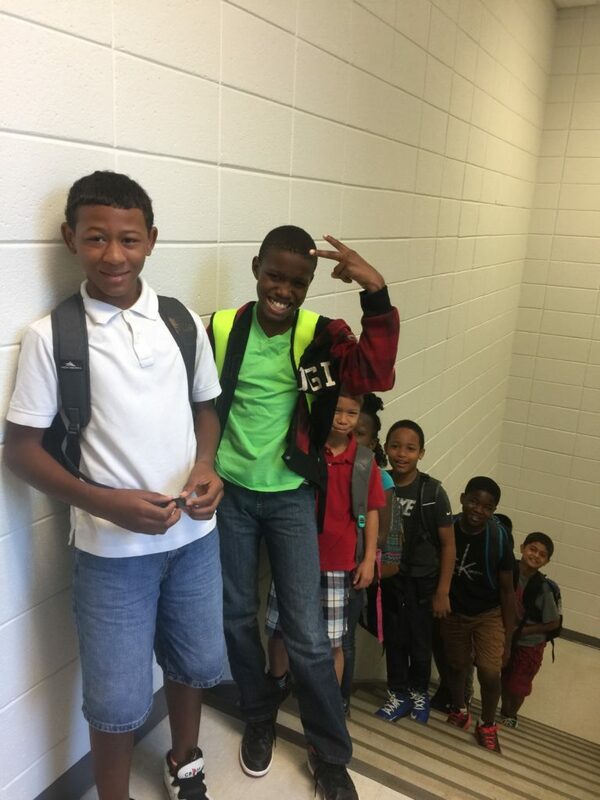 Safe Routes to School Sept. 1st: Barrow is fortunate to have UGA close by and have a good relationship with the athletic program. 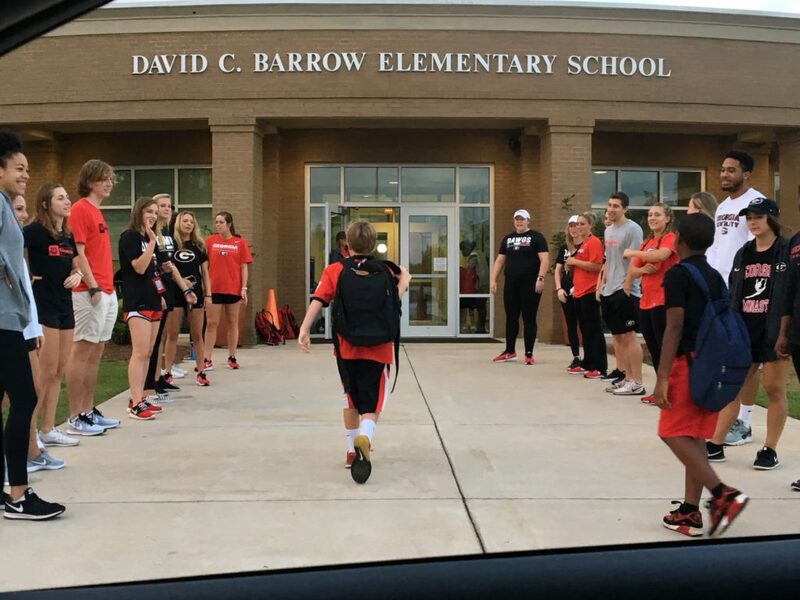 Many UGA Athletes welcomed our children to school during our first Safe Routes to School. Many thanks to Deborah Keys for coordinating this fun event. 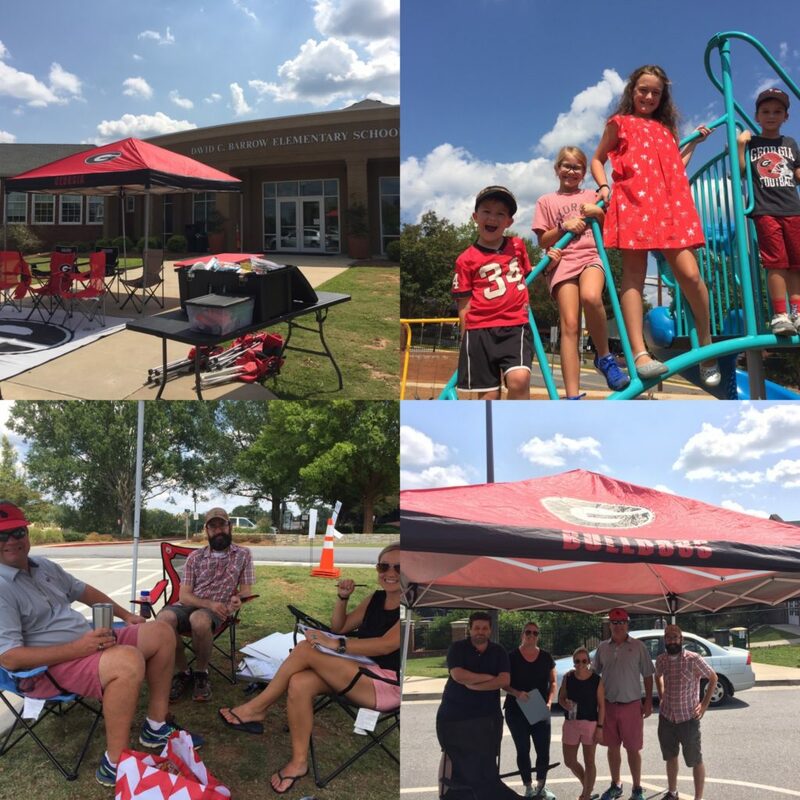 Football Parking: Thank you parents and families for helping with football parking. 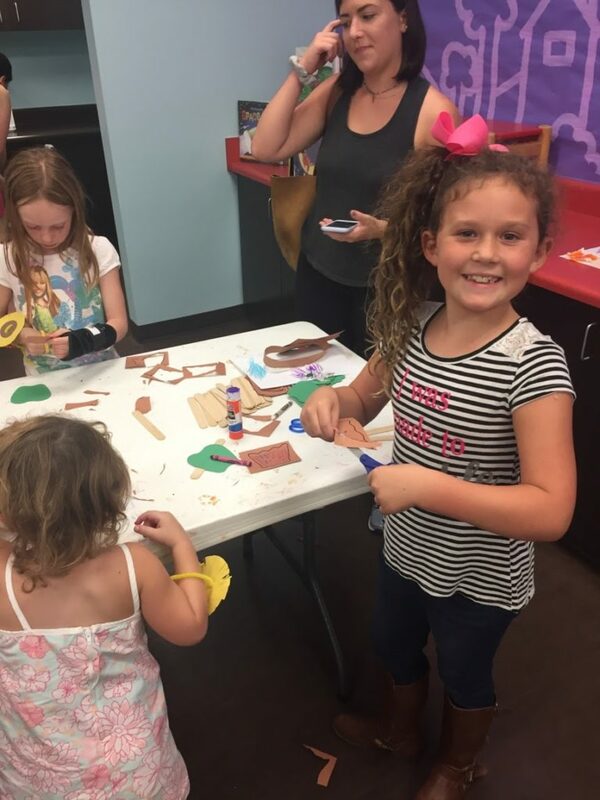 It looks like a lot fun for the whole family!